Surprise! 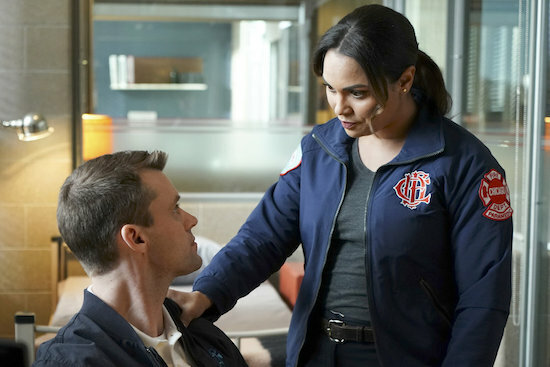 Monica Raymund wasn’t quite done with CHICAGO FIRE just yet. Though the actress announced she was leaving the long-running drama in May, she returned for a guest spot in the season opener, “A Closer Eye,” as her character, Dawson, FaceTimed Casey (Jesse Spencer) from Puerto Rico…before returning home to reveal she was moving there permanently. And while Dawson is gone for now, Haas would love to have Raymund return at some point: “The door is open, absolutely,” he said, calling himself her biggest fan.